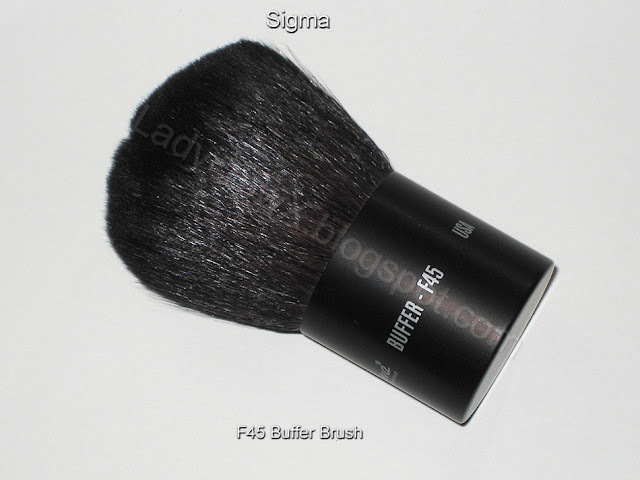 A couple months ago I received the Sigma F45 Buffer brush, it's my first Sigma brush which I'm sure is kind of surprising considering I've been hearing about them for a while. I currently own a ton of MAC brushes as well as Sonia Kashuk, Eco Tools, and one other "mineral" brand kabuki brush that I can't remember where I got it. Let's take a look at some product pictures first off. 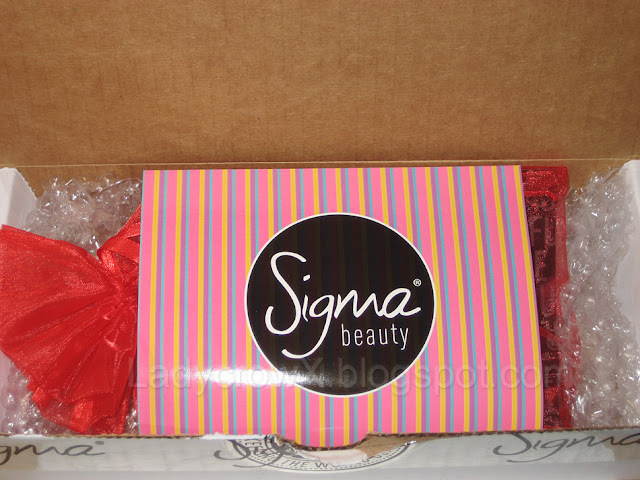 "Ideal to apply mineral foundation, loose or pressed powders. Also great to buff colors and obtain a soft, blended look. Natural bristles." Price: $19 vs MAC 182 Buffer for $49.50. Pros: Soft on my skin when I apply powder foundations, applies product beautifully, very reasonable price for the quality. Cons: At this time I found no cons, I will continue to use this and let you know how it stands up to my constant use and washes! 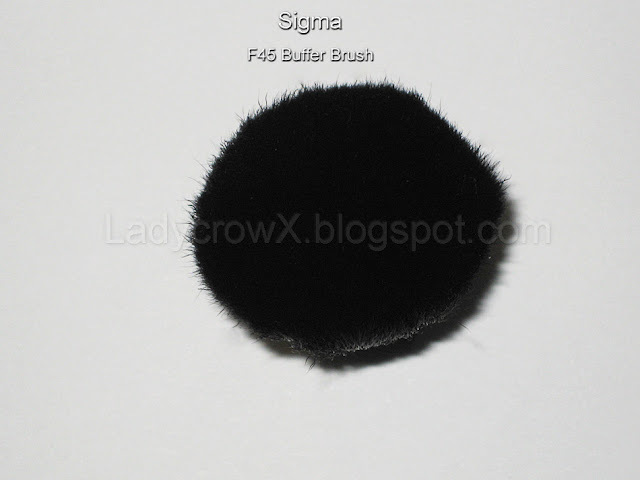 I've actually been using this kabuki brushes over the other ones I own because I love how soft it is. 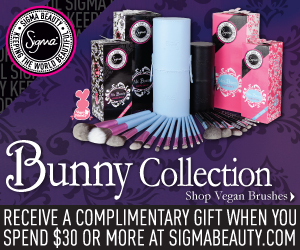 Currently Sigma has released a new set of vegan brushes, I personally love the way these look because the colors are so cute and of course blue is one of my favorite colors! 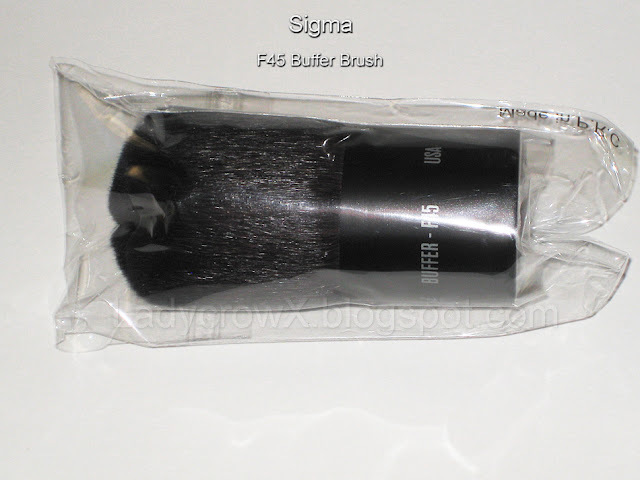 They also have other color brushes as well like purple, pink, red, ect. 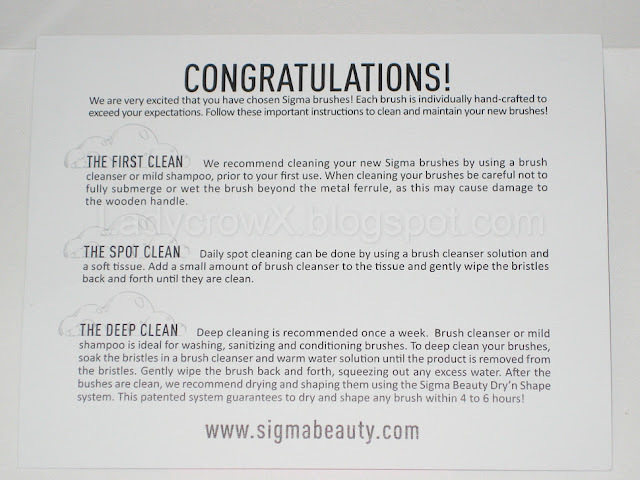 Check out my affiliate link below to see the brushes/order!